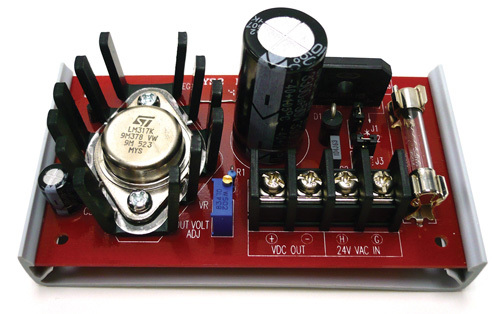 The Model PW 1.5 is a regulated 1.5 A power supply that accepts 24 VDC/VAC. Field voltage adjustments may be made using only a screwdriver. The power supply is provided with a mounting track for easy installation.